The Pininfarina Battista represents the future of hypercars. Even Mr. Pininfarina himself admits that the "revolution of electric vehicles” is underway. 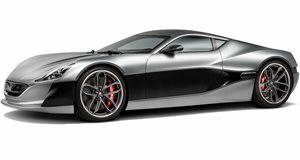 With a total of 1,900 hp and plenty of instant torque, the Battista, limited to just 150 examples globally, is very much a part of this new electrified era. We sat down with Paolo Pininfarina, son of Sergio Pininfarina and grandson of Battista Pininfarina, at the Geneva Motor Show last week to discuss his design firm’s latest creation. Although the Battista, named for his grandfather, is essentially a heavily re-bodied Rimac Concept_Two, Pininfarina still took inspiration from an iconic Ferrari that also broke new ground, the 1968 Dino.